The OhioMeansJobs Warren County offers free services for those who need training in job search skills. Visit our resource room, support services and education and training classes. Come in and let us help you attain your employment goals! Warren County, in partnership with the Ohio Department of Job and Family Services Veterans Services Department, offers a wide range of priority services to veterans and their spouses. An OhioMeansJobs website - www.ohiomeansveteranjobs.com - offers veterans special resources and access to jobs posted specifically for veterans. Select Credit Services/Collections and Ohio in the red bar. Buffalo Wings & Rings is now accepting applications for their new location in Kings Mills, Ohio. is now open in Monroe !!! 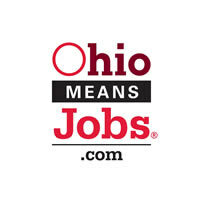 OhioMeansJobs Warren County has many job openings posted in the Resource Room. OhioMeansJobs Warren County honors the Jobs for Veteran Act, P.L. 107-288, which establishes a Priority of Service for covered persons in qualified job training programs. For more Information on OhioMeansJobs services, please call 513-695-1130.